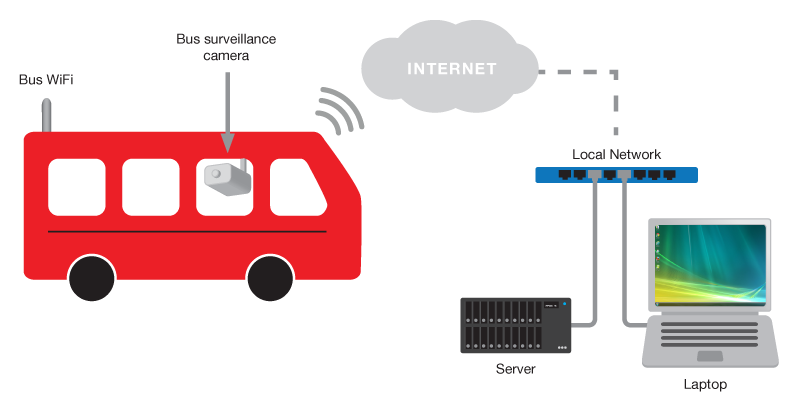 Siretta Industrial Modem and Router solutions are used in many different transportation applications where mobile data and monitoring of remote mobile equipment is required. The Siretta Industrial Modem and Router solutions are used to provide fast, reliable internet services to mobile equipment and in addition offer the ability to track assets in the field. The combined solution enables devices, systems and people to have access to reliable connectivity and can provide an additional revenue stream with push services in the field. With real-time tracking information being provided to the central control office it is possible to minimise delays, measure popularity of services, automatically re-route for problem areas, measure internet usage throughout journey and provide points of interest for tourists to encourage a spread use of the service throughout the day. Offering high performance, fast, reliable mobile broadband services to buses, trains and boats for consumer internet services. This offers convenient mobile internet services for passengers and provides a valuable service offering to customers. Many tourist attractions and tourist information services now rely on the internet to provide up to the minute information through a centralized website. WiFi-on-Board allows chargeable internet services to be offered to transportation services and provide an additional revenue income. Real time video surveillance offers additional safety and security to transportation services not only for the driver but also the passengers. This service allows the Police force to track and process crime and allows transport management to monitor route usage to determine any additional services required. Track the location of important assets, people and equipment. This allows you to manage resources and enables you to determine the lowest downtime for your assets to provide the most efficient use of your products and services. Push services can be provided to your applications to offer real time advertising, information services, location information and map data which can generate additional revenue and value-added services to your customers. Fuel tankers are often used in remote locations where heavy plant equipment is performing highway maintenance and do not have access to local fuel stations or in rural locations where oil, gas or petroleum is stored on site rather than provided through a piped network service. Monitoring the fuel level enables scheduled refueling without any downtime and provides alerts to indicate sudden changes in fuel level from theft or tanker breaches.